Dharshi Wijetunga Frei heads the international trust practice in the Zurich office. She has extensive experience in wealth holding and wealth transfer solutions, with a particular interest in trust structuring and tax matters for clients from Asia. 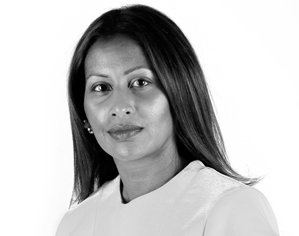 Dharshi comes with many years of international experience, having worked as a lawyer in an international law firm and a structuring specialist within a large private bank. Before joining Anaford, Dharshi was a Director in one of the largest Swiss private banks, focusing on complex trust structures. As part of her role she relocated from Switzerland to Singapore, to focus on UHNW clients in Asia. Prior to that, Dharshi was a Senior Associate in an international law firm, working in both the Singapore and Zurich offices. In this role she regularly advised Banks and Trust companies as well as private individuals on all aspects of wealth planning, be it succession solutions, trust structuring, or tax or regulatory matters, with a focus on Asia.